Created by Michael Kappel. View source. As long as humans have existed, we have lived in and with nature. But what does nature mean in the Anthropocene? Is it an urban wood or the uninhibited wilderness of the backlands? Does nature even exist without its human counterpart—culture? Even before the Anthropocene, humans used and interpreted nature. Our conceptions of nature are quite varied and have changed over the course of time. Nature not only provides us with what we need for our daily life, with food and resources; it is also a place to relax, a source of inspiration and dreams. Even in the fast-paced world of the Anthropocene, being connected to nature is considered something worth striving for—even if we are no longer exactly sure what “nature” is. In the Anthropocene, there is no such thing as nature without humans: we investigate nature, use it, control and alter it. The ways in which we can affect nature have constantly increased and our actions leave deep, often long-lasting marks. Natural catastrophes such as floods and droughts are nowadays seen as evidence of the human impact on the Earth. What we think of when we imagine “nature” is to a high degree a new, culturally reshaped kind of nature. 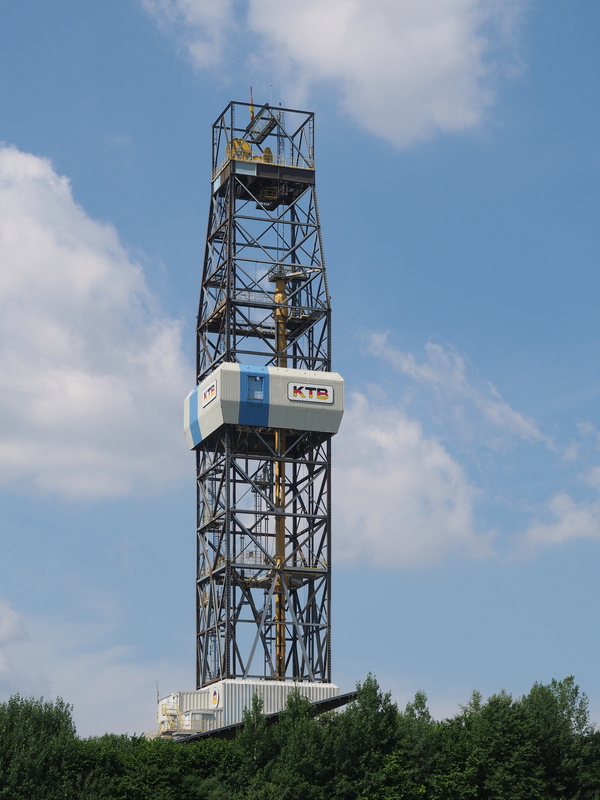 Drilling tower of the German Continental Deep Drilling Program. Created by Kreuzschnabel. View source. A sparkling crystal clear stream, the clouds gathering before a thunderstorm, or the enormous rock formations of the Alps—such impressive panoramas are called “wonders of nature.” In many religious cultures the power and beauty of nature is still seen as coming from God. Social and religious upheavals, but also scientific insights, have changed our view of nature over time. In the mid-eighteenth century Carl Linnaeus developed a new classification system that opened a new chapter in botany and zoology. Since the nineteenth century, curiosity and a thirst for knowledge have fueled science: humans began to explore the interior of the Earth, the depths of the sea, and flora and fauna on a large scale. We are fascinated by nature and we try to understand it. Humans always investigated the world with the means that were available: expeditions, mapping and survey projects, as well as experiments have led to new insights, which have frequently proved controversial. The more we know about nature, the more we want to use the resources provided by it. One example of this development is the German Continental Deep Drilling Program, which was conducted between 1987 and 1994 and ended with a 9,101 meter borehole: the deepest in Germany and one of the deepest on Earth. Although it was dedicated to basic research on climate and seismic activity, scientists, politicians, and companies hoped that this project would also provide insights into the location of mineral deposits and sources of geothermal energy. Seemingly contradictory pictures of nature are melding in today’s Anthropocene and globalized world. 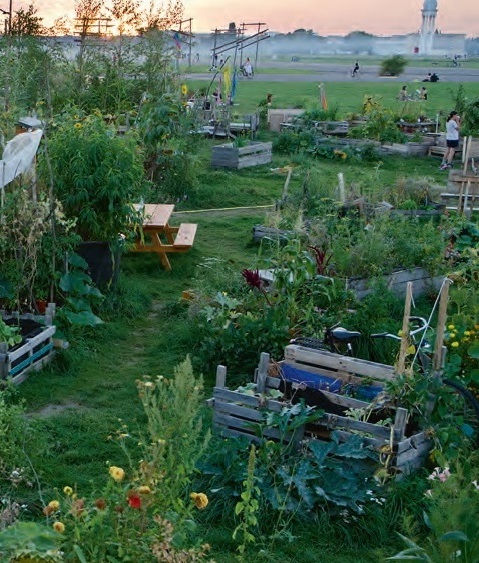 Urban nature has developed into a typical and new form of nature shaped by humans. Urban ecosystems today are often more biodiverse than rural habitats of past eras: foxes, tawny owls, and raccoons are no longer an unusual sight in Munich or Berlin. As cities expand they replace important ecosystems. Photo created by Kilian Müller. View source. For a description of the book in English, please visit The City of Commonists: New Urban Spaces of the Do-It-Yourself. 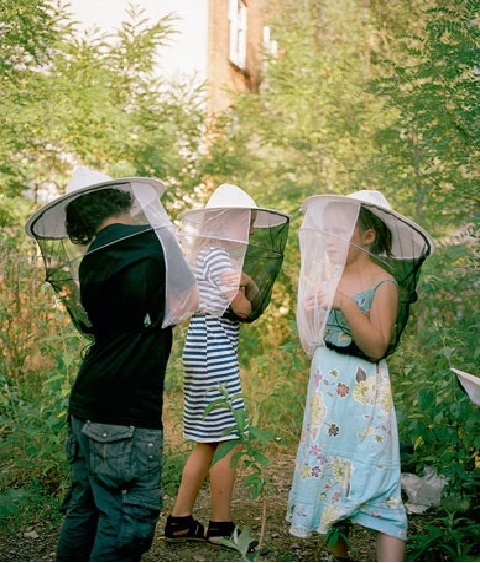 Children in Berlin try to stop the extinction of bees. Photo created by Mathias Walendy. View source. Bees suffer considerably from the destruction of their natural habitats and from monocultures and climate change. But bees are important. Albert Einstein thought that if bees vanished, humankind would perish within four years. The reason for this assumption is that if bees become extinct, many plants will lack pollinators and also become extinct; as a consequence humans and animals will die. In China, whole swaths of land are now pollenized by people instead of insects. Some cities are trying to counteract this development: in Munich, for instance, beehives have been installed on the rooftop of the Gasteig and the Deutsches Museum. Birds, too, are struggling: every seventh bird species is threatened with extinction; in Germany 110 out of 260 local breeding birds are threatened. Nature protection programs are using modern techniques—drones, robots, and computer simulations—to try to stop this development. Ecologists are not the only ones who care about nature. Artists also pose questions such as “What does nature mean to us in the Anthropocene?” and “How do we deal with nature in the future?” The Anthropocene exhibition at the Deutsches Museum featured artwork by the Next Nature Network, a group of Dutch artists and designers: they exhibited different generations of razors in order to illustrate how they developed similarly to organic living creatures. Next Nature Network also repurposed a survival blanket in an artistic way. 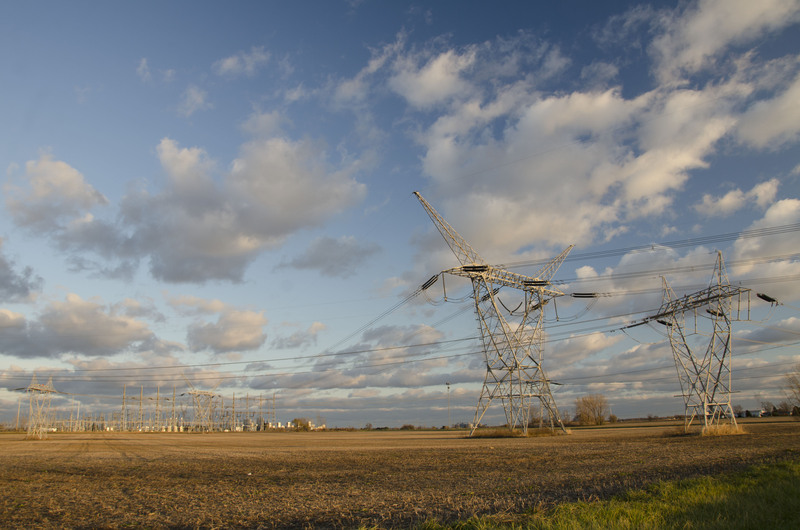 Originally developed to protect its user from the forces of “old” nature such as cold, heat, rain, and wind, it now offers protection from the forces of “new” nature: electrosmog, drone attacks, and radio waves. Thus the question arises: Who is fighting against whom? Are we at odds with nature­—or with ourselves?